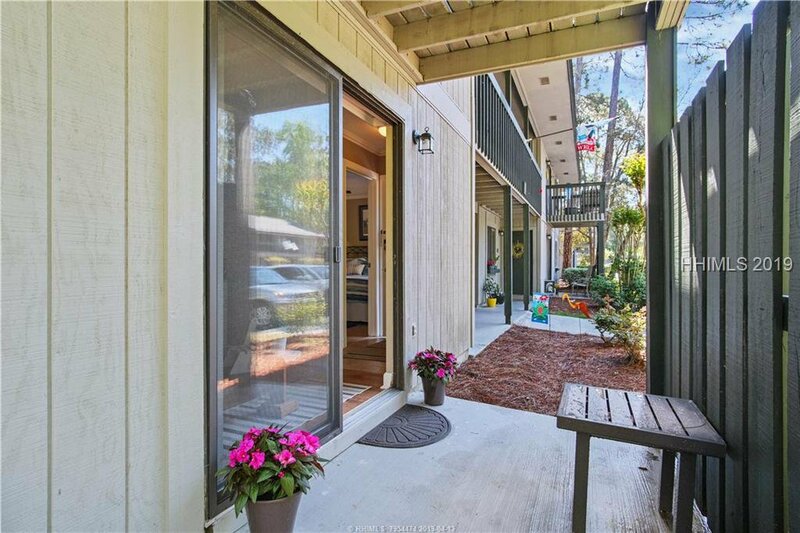 This coveted ground-floor end-unit looks out to lagoon views for great privacy. 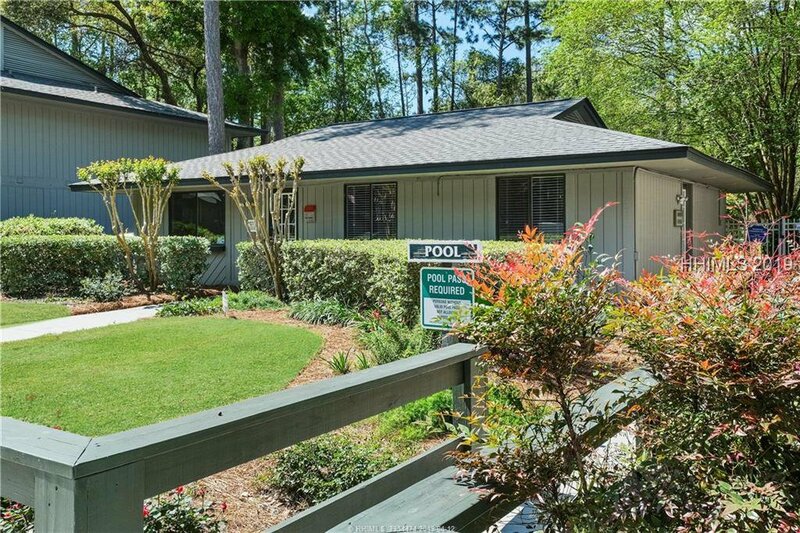 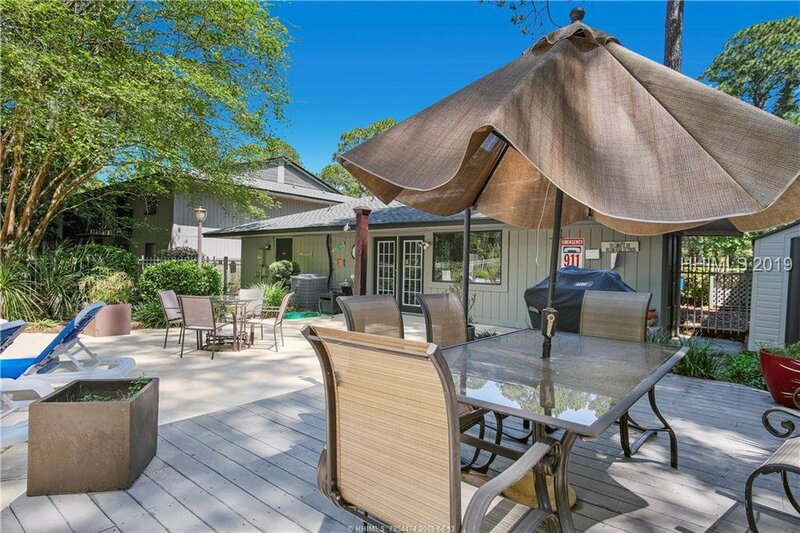 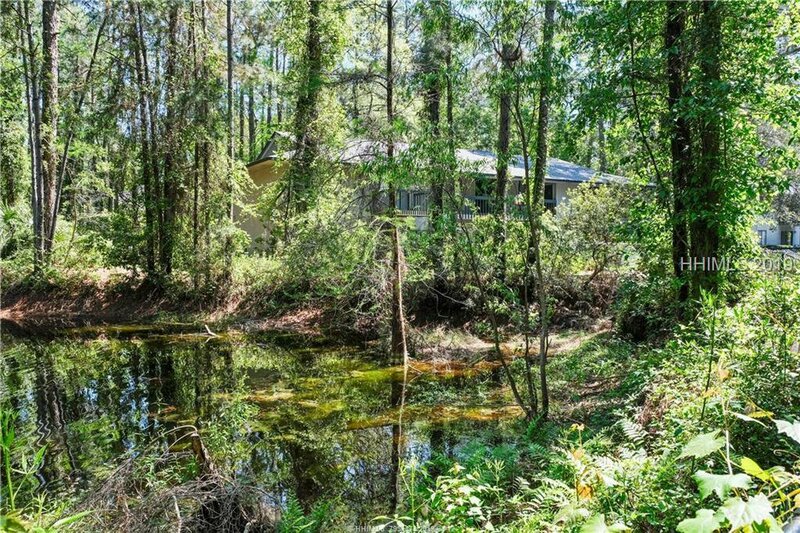 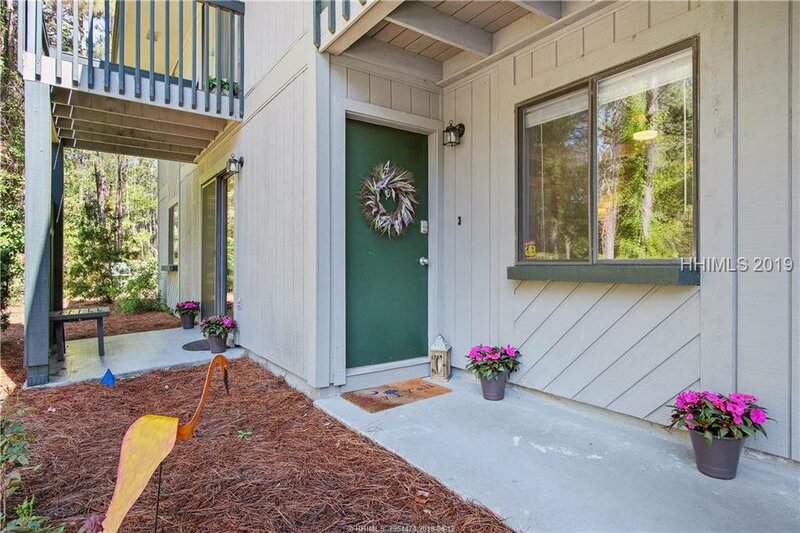 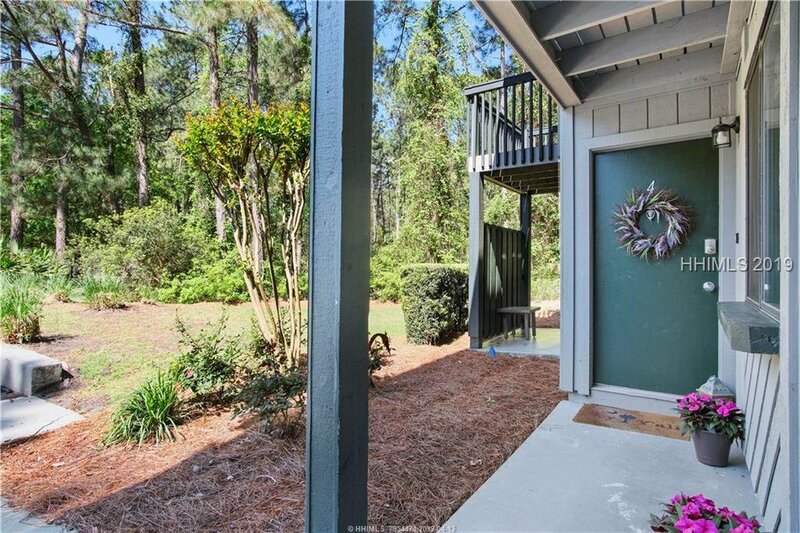 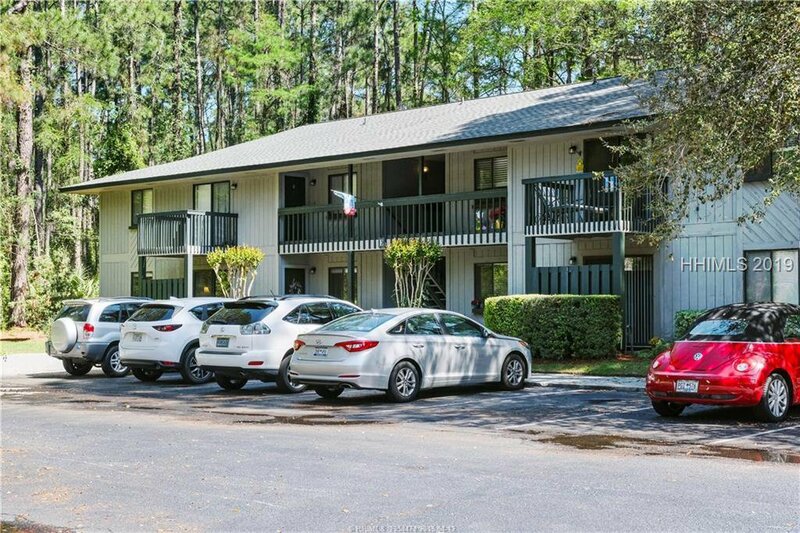 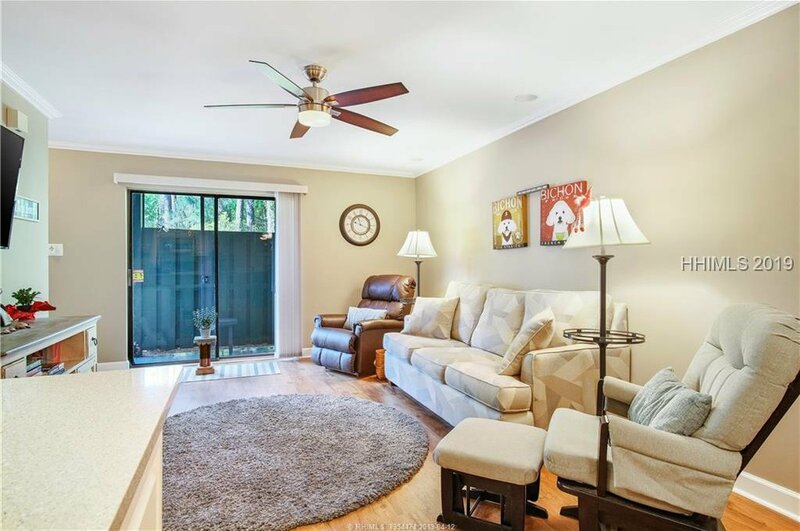 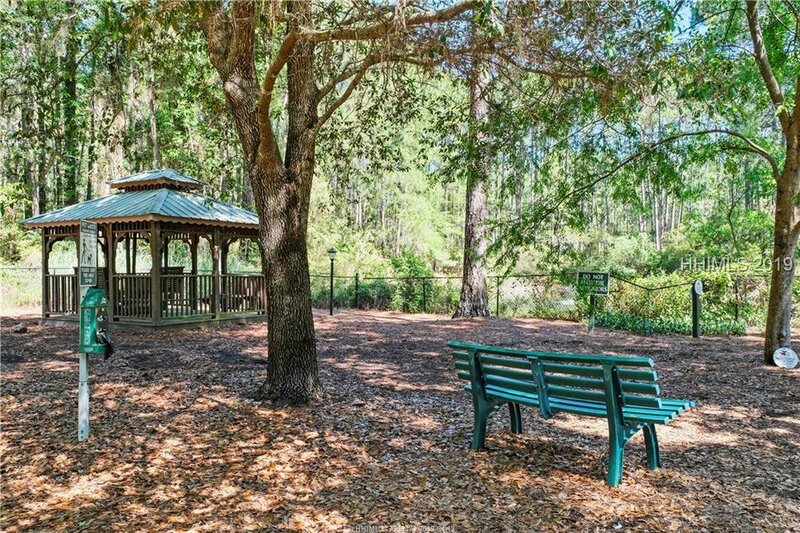 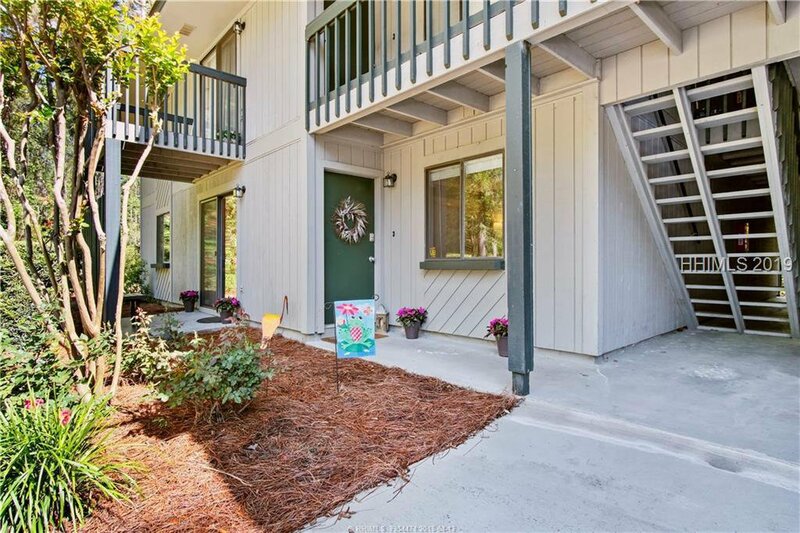 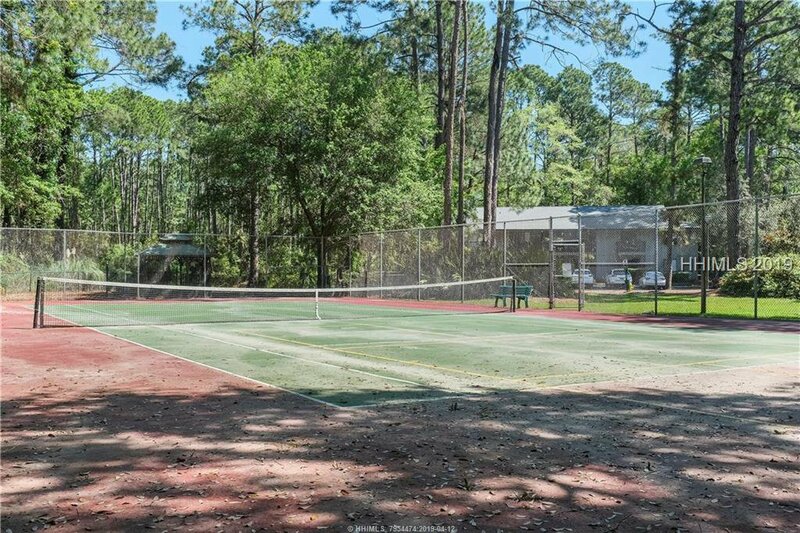 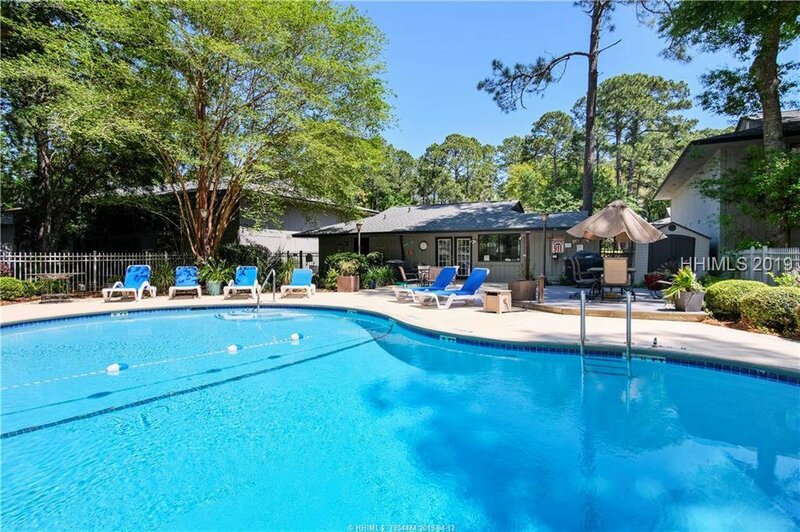 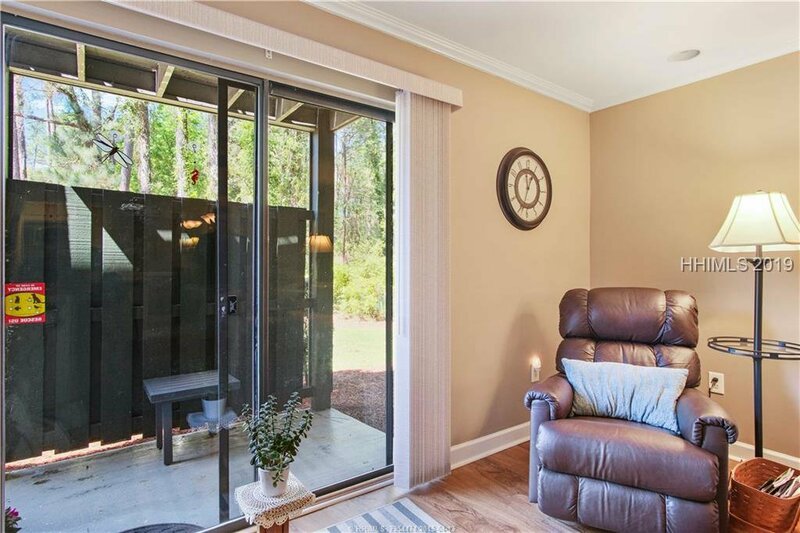 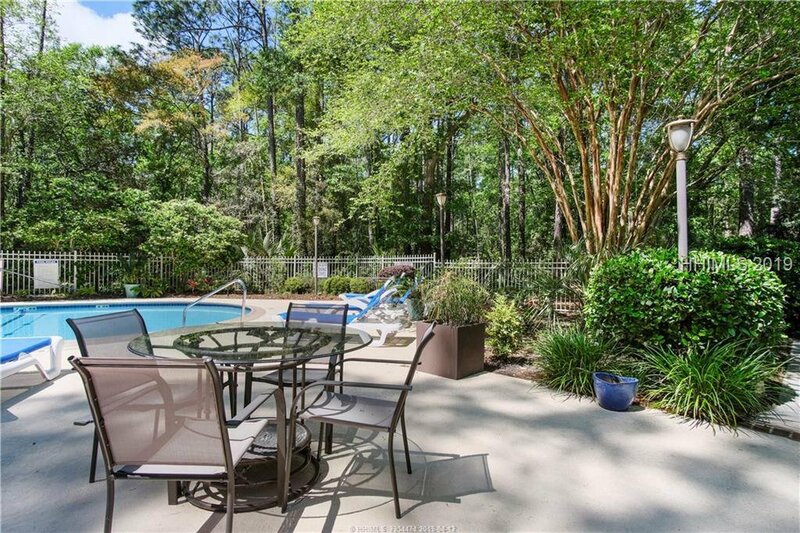 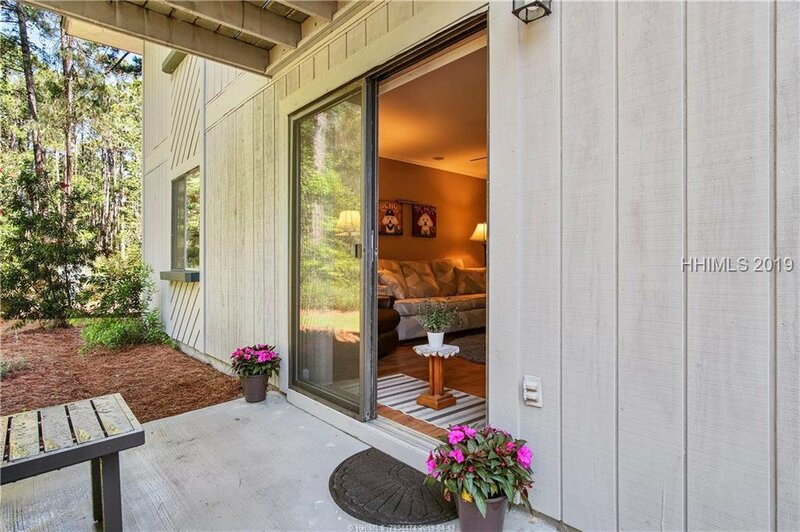 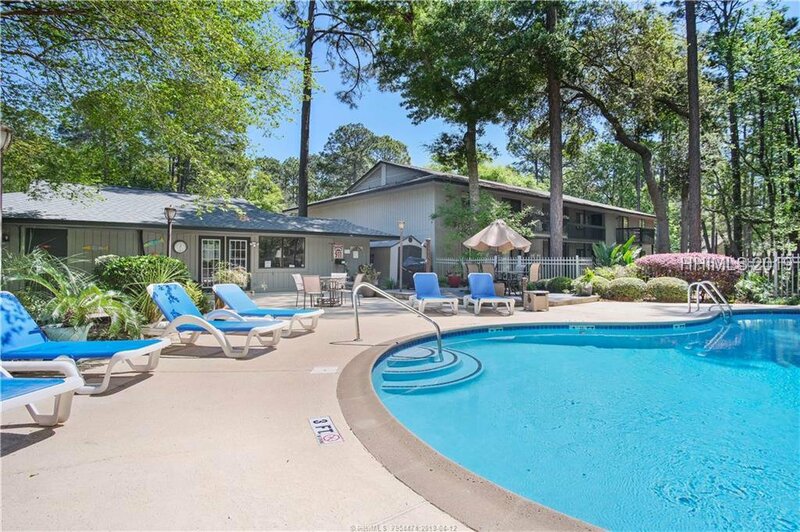 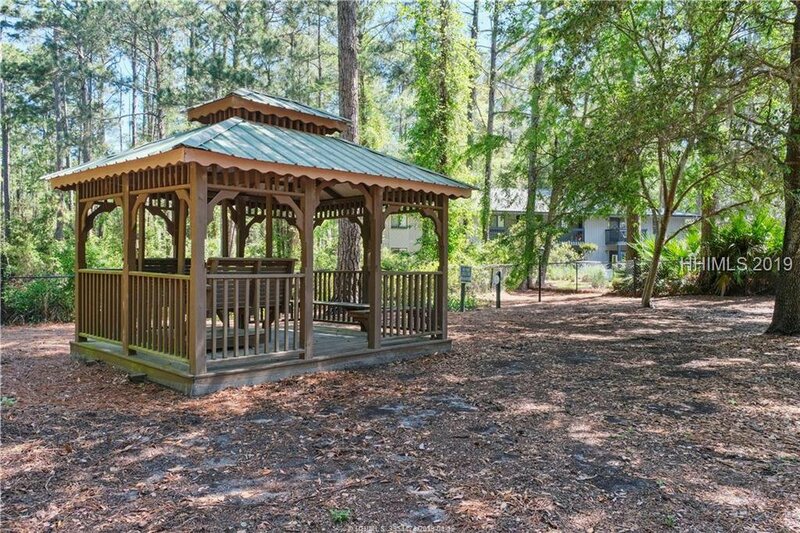 The front door is a stone’s throw from the Palmetto Commons tennis courts, dog park, and newly refinished pool. 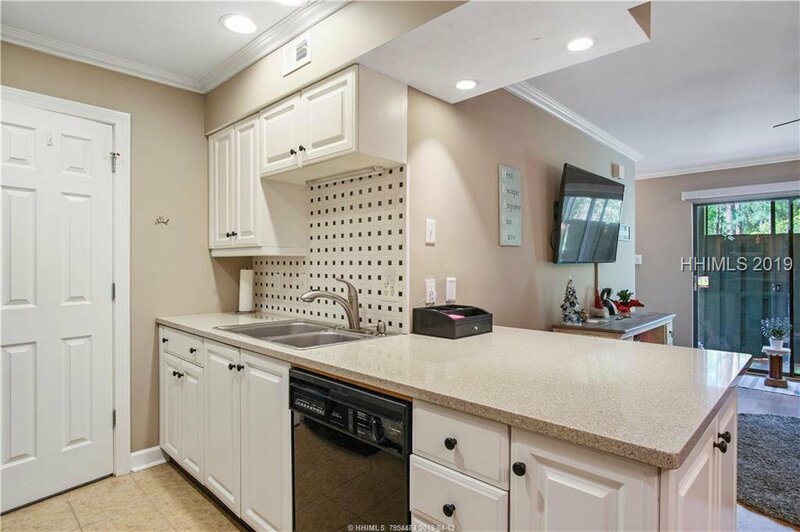 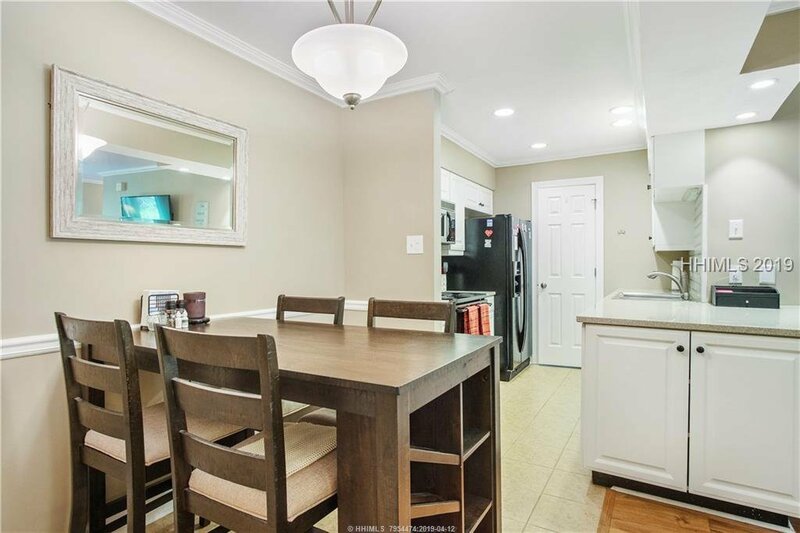 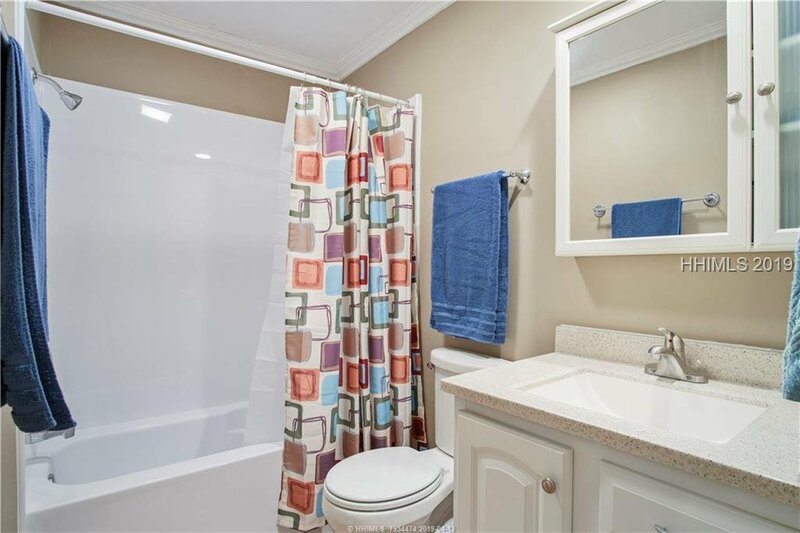 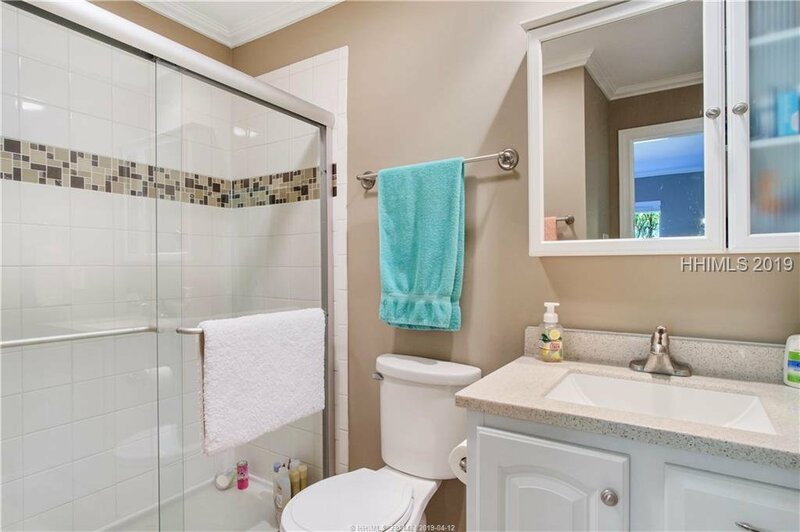 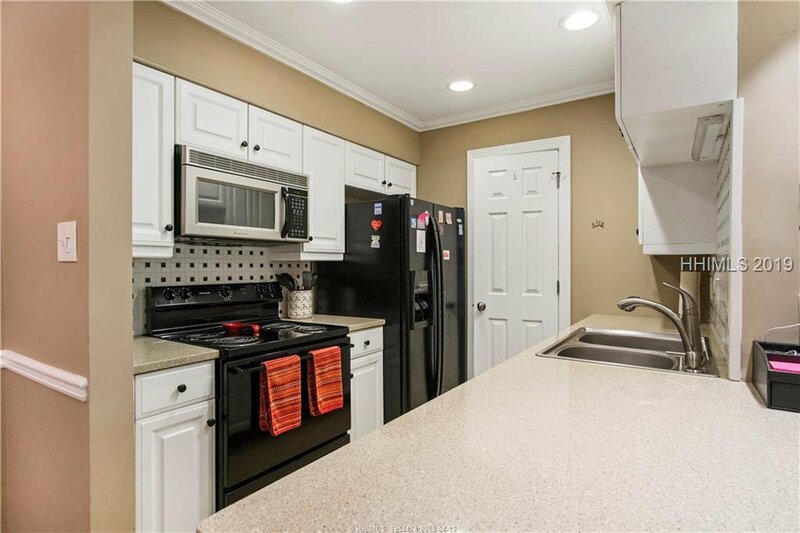 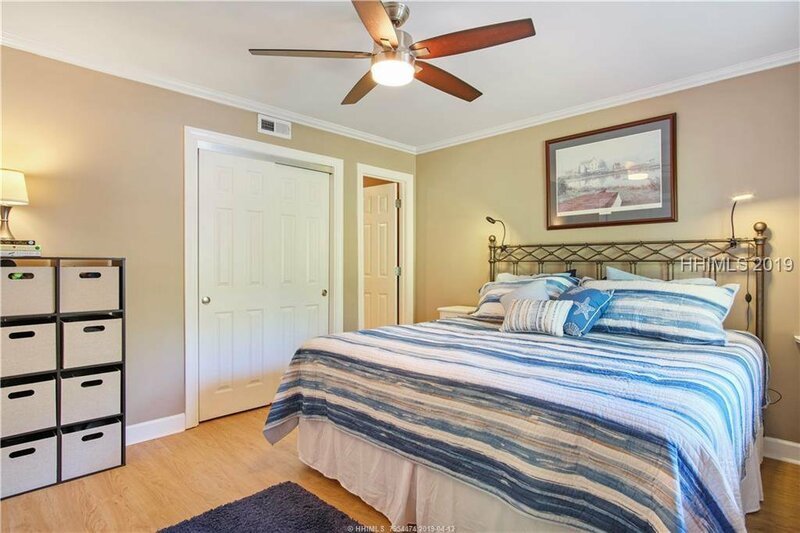 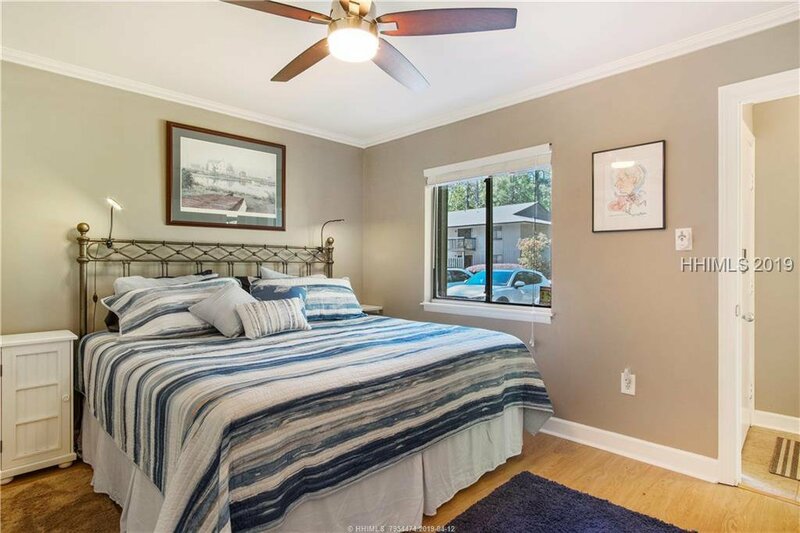 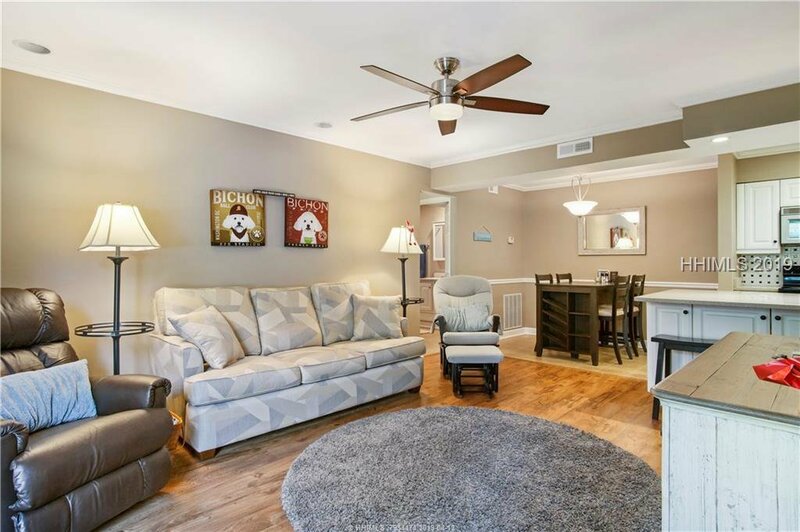 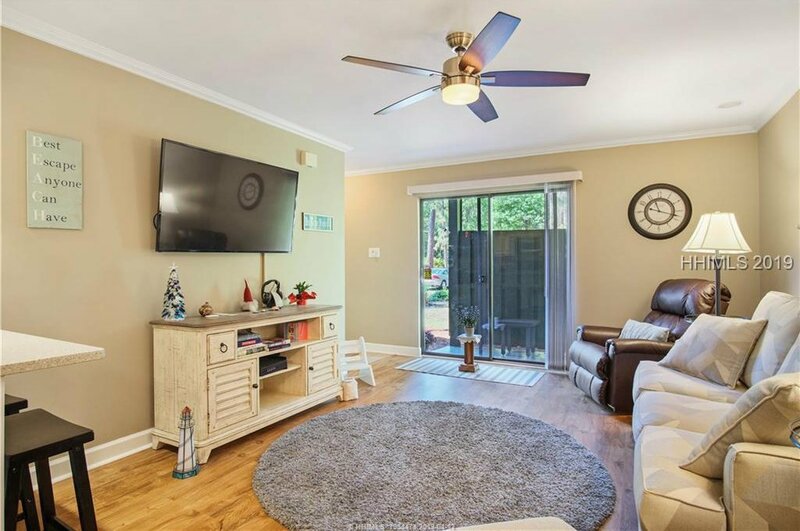 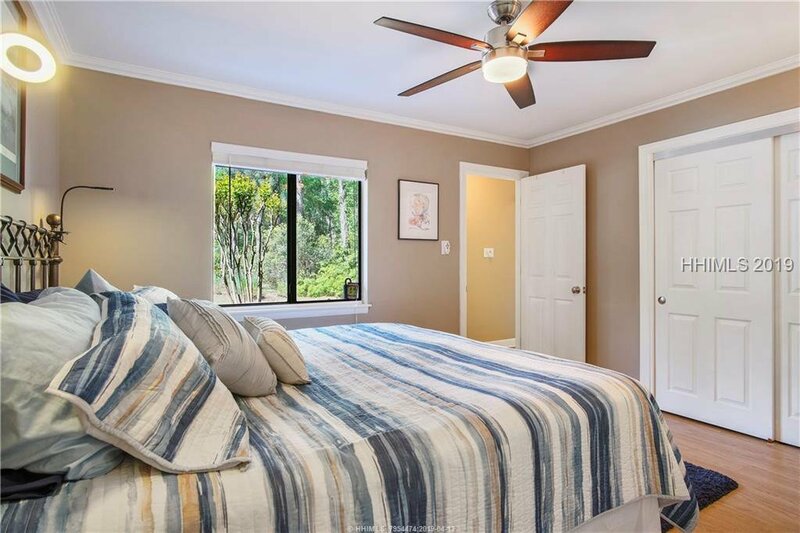 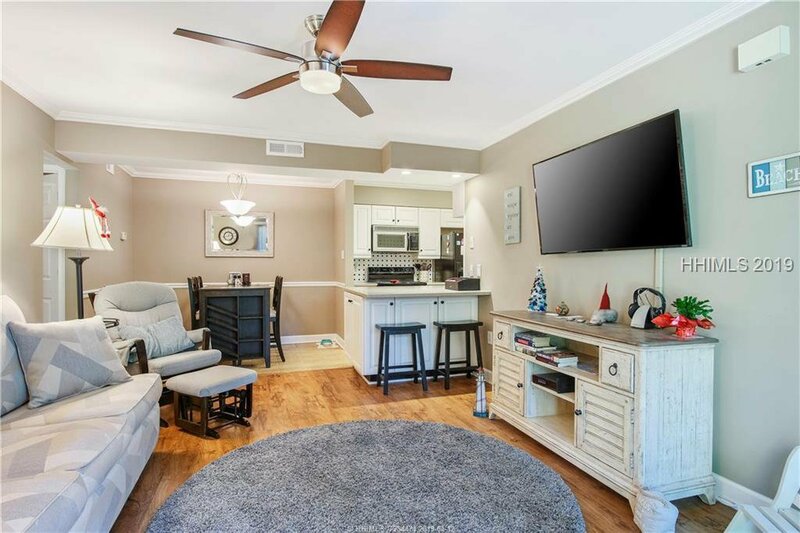 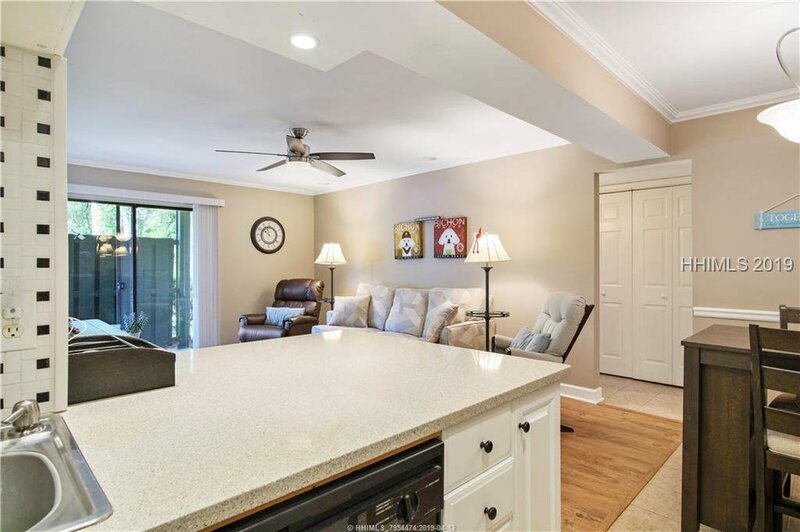 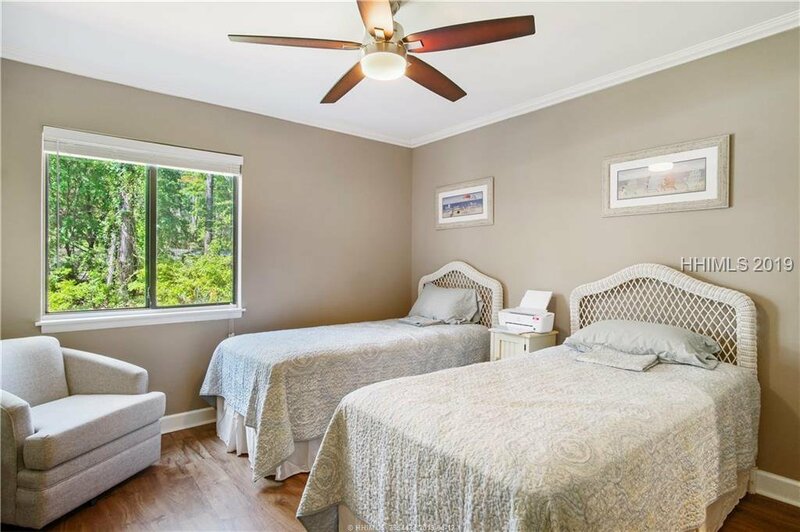 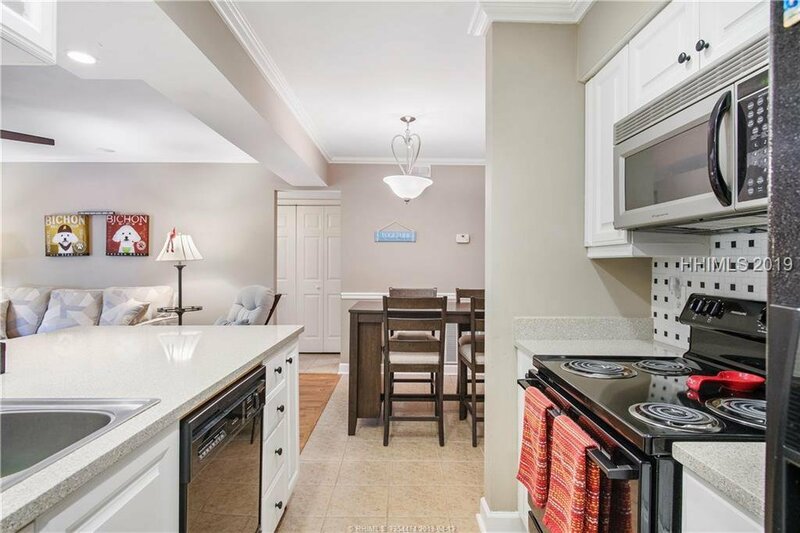 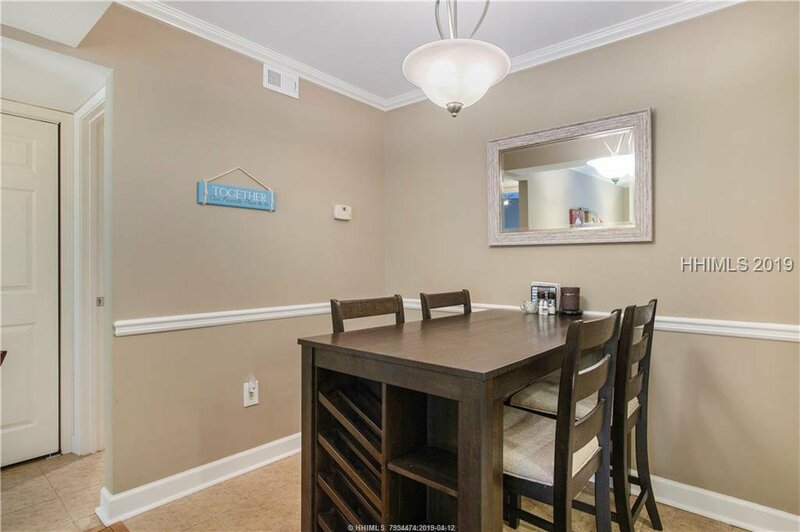 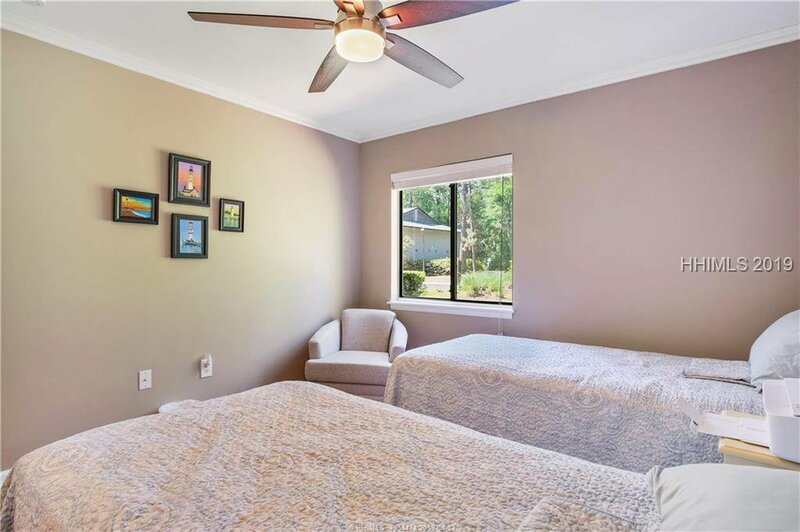 Totally updated with new vinyl plank flooring, new full-size washer/dryer, modern fixtures and ceiling fans, crown molding, Silverstone quartz counters, subway tiled back-splash, new lighting, smoothed ceilings, remodeled bathrooms, and a neutral paint palette. 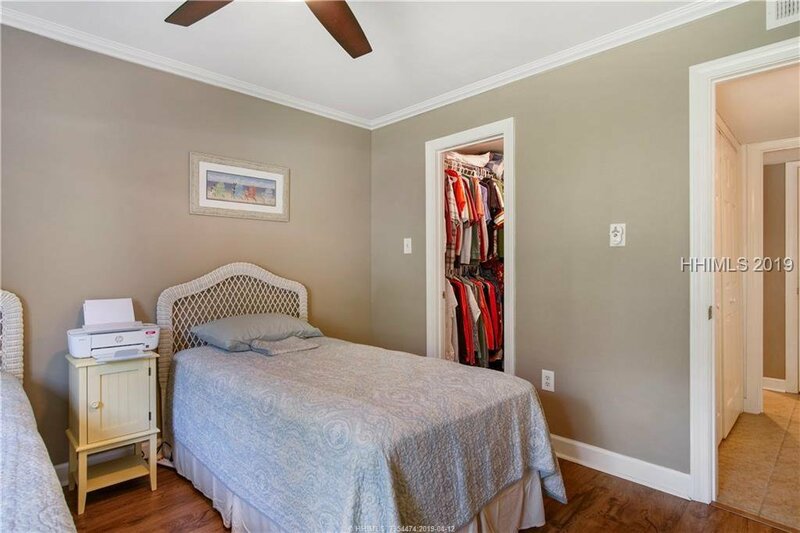 Great bedroom separation and plenty of storage/closets help make this unit live larger than its dimensions would suggest. 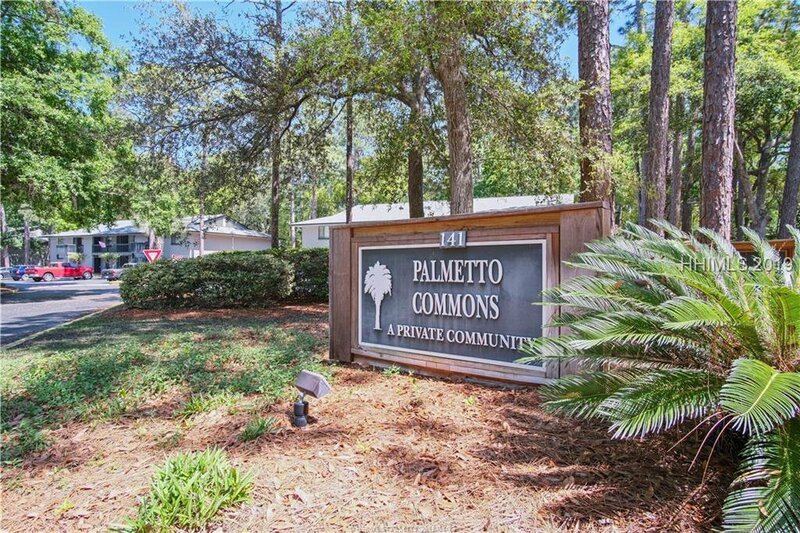 Palmetto Commons is HOT right now, #E4 being one of the best on offer!